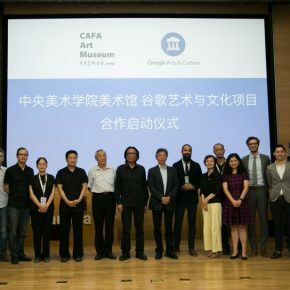 On June 19, 2018, a Cooperation between “CAFA Art Museum and Google Arts & Culture” was officially initiated. 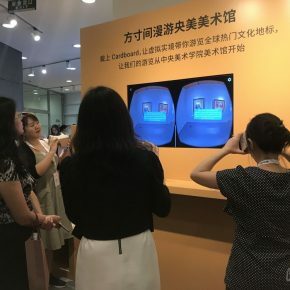 More than 300 exhibits, 8 online exhibitions, and 4 sets of 360° panoramic images were launched online for this cooperation, which provides art lovers all over the world with an experience of the profound historical origins of CAFA as well as its vitality today. 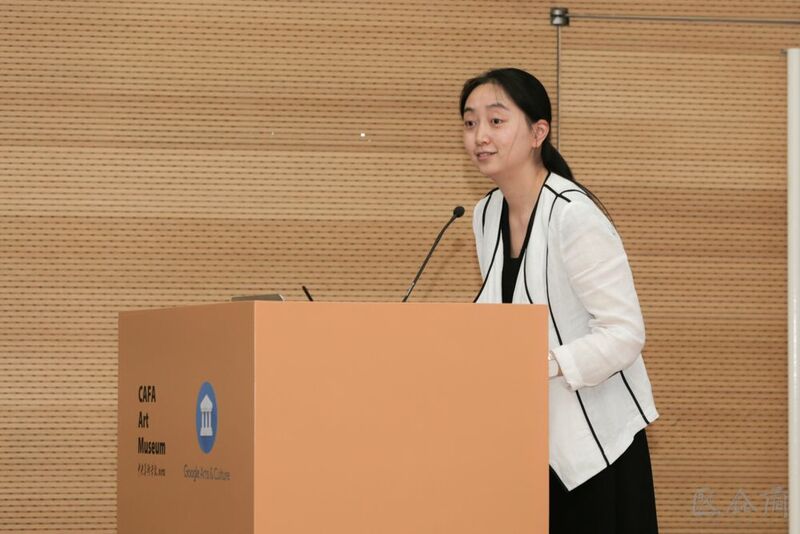 At the launching ceremony, Fan Di’an, President of the China Central Academy of Fine Arts(abbr. 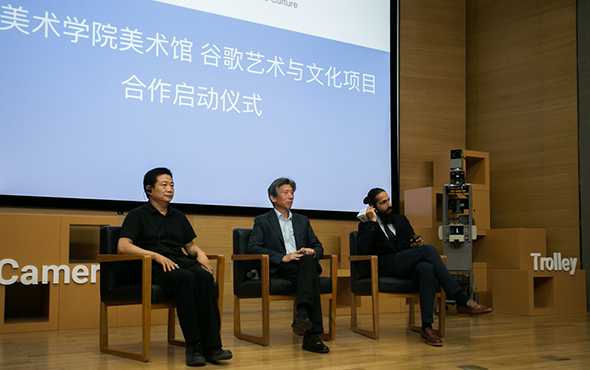 CAFA), Zhang Zikang, Curator of CAFA Art Museum and Amit Sood, Director of the Google Arts & Culture respectively delivered speeches. 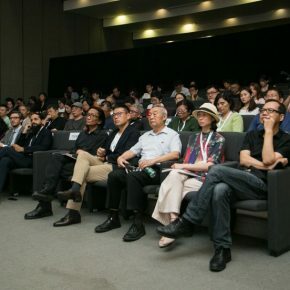 Additionally, Deputy President of the China Central Academy of Fine Arts Su Xinping, Dean of the School of Design Song Xiewei, Dean of the School of Experimental Art Qiu Zhijie, Deputy Director of CAFA Art Museum Prof. Wang Chunchen, and other leaders and professors from CAFA, Director of the Xu Beihong Memorial Museum Xu Qingping, and Director of the Information Center of Beijing Cultural Relics Bureau Qi Qingguo, Director of the Beijing Museum of Stone Carvings Guo Bao, Deputy Director of the Palace Museum Information Center Zhuang Ying, Director of the International Exchange and the Cooperation Office of the School of Fine Arts at Tsinghua University Zang Yingchun, Editor-in-Chief of the CHINACULTURE.org (EN) Feng Minghui all attended the ceremony and Assistant Director of the CAFA Art Museum Gao Gao chaired the initiation ceremony. 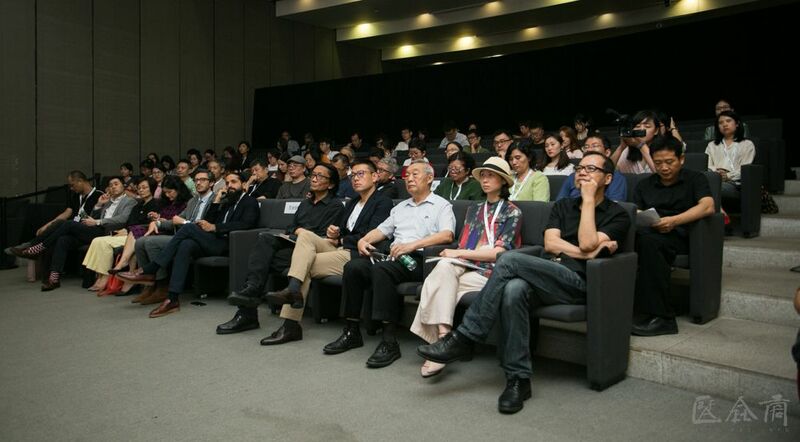 CAFA Art Museum and the Google Arts & Culture have both worked tirelessly on how to share the fine arts and cultural wisdom of people. As the former is based on the noumenon of art in influencing others, and the latter uses the latest technology to expand knowledge. This cooperation is based on the common vision of the world to display and disseminate art among people. 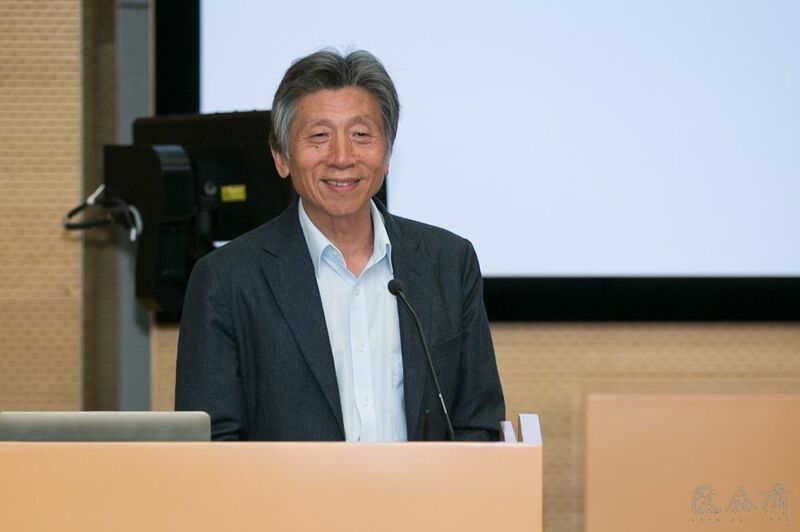 Fan Di’an, President of the Central Academy of Fine Arts, said that in the process of globalization, arts and culture are undoubtedly an important way to promote spiritual and ideological exchanges between people from different countries and regions and between different ethnic groups, and to promote mutual understanding between different cultures. As one of the world’s most prestigious and comprehensive platforms, the Google places great emphasis on the collection of art and cultural resources and the global dissemination of these resources in its development strategy. This brings a sharing of diverse cultures to everyone. Google Arts & Culture has created a huge platform for introducing the traditional cultural resources of different countries and regions as well as the achievements in contemporary art innovation. For CAFA’s 100th anniversary, Google Arts & Culture is taking the masterpieces in CAFA Art Museum to the world, for a new generation of art aficionados to enjoy. 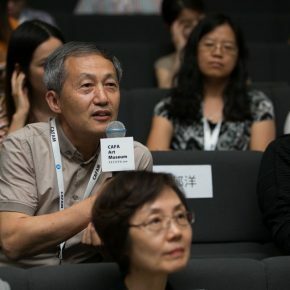 These include some iconic and rarely-exhibited works by the father of modern Chinese art Xu Beihong, like Tian Heng and His Five Hundred Followers and Behind Me. 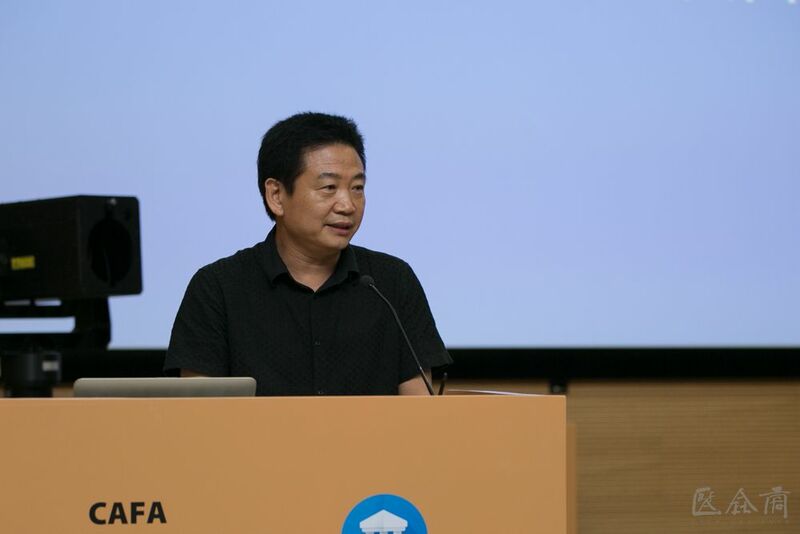 Director Fan pointed out that the Central Academy of Fine Arts has also responded to changes in the era of discipline constructions, especially the increasing cultural needs of China’s social development, to adjust its discipline layout, promote teaching reform. 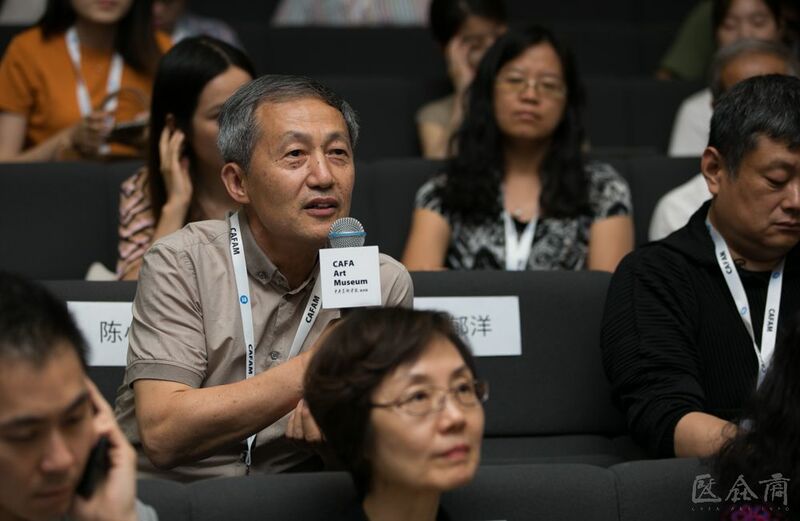 Renewed vitality emerges in education, creation and academic research through unremitting efforts by teachers and students to promote the innovation and development of Chinese contemporary art and culture. 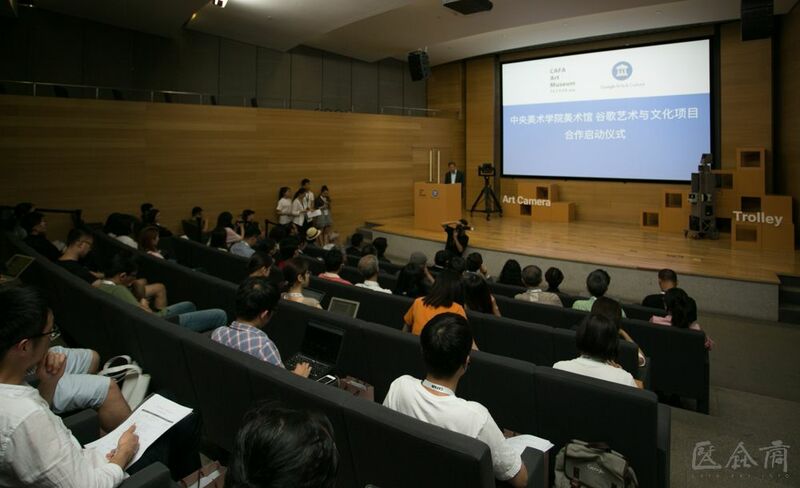 In such a process this is so-called the “new era to create a new culture,” it is particularly necessary to establish a strategic cooperation relationship with an internationally renowned cultural platform with excellent experience. With the support of Google, this cooperation will allow the Central Academy of Fine Arts to provide a wider range of artistic resources and artworks that reflect contemporary innovations. 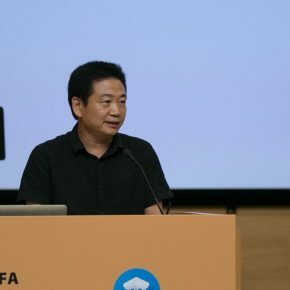 It will allow audiences around the world to understand the various exhibitions that are presented and already held by the CAFA Art Museum on Google’s platform, so that more Chinese classical art, modern art, and contemporary art will be widely disseminated, and this opportunity will also be used to promote the art museum to actively adopt the conditions and means provided by the development of science and technology, and to meet people’s audiovisual needs with new modes and new styles to develop the dissemination form of the works. 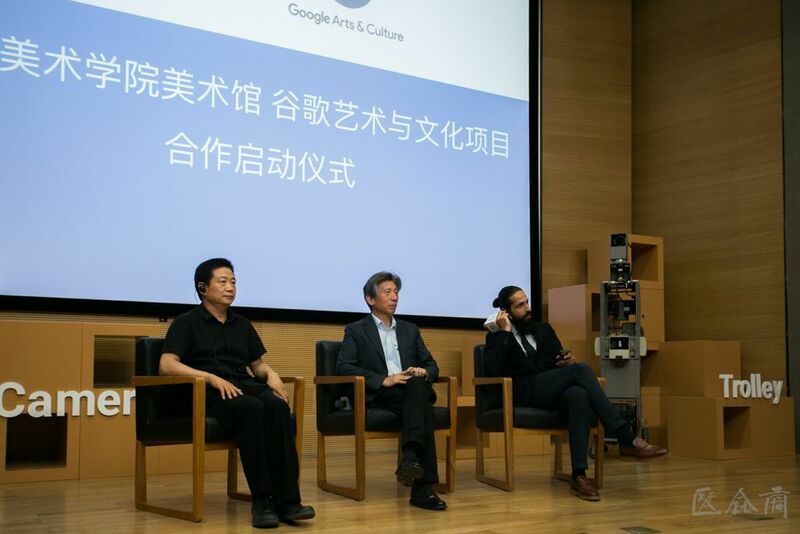 Amit Sood, Director of Google Arts & Culture, gave a detailed introduction to the project. He said that Google Arts & Culture is committed to giving every user access to art and culture through technology. 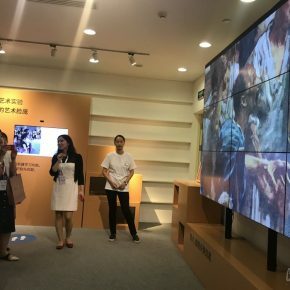 On the occasion of the 100th anniversary of the Central Academy of Fine Arts, a large group of modern Chinese masterpieces were uploaded on Google Arts & Culture. 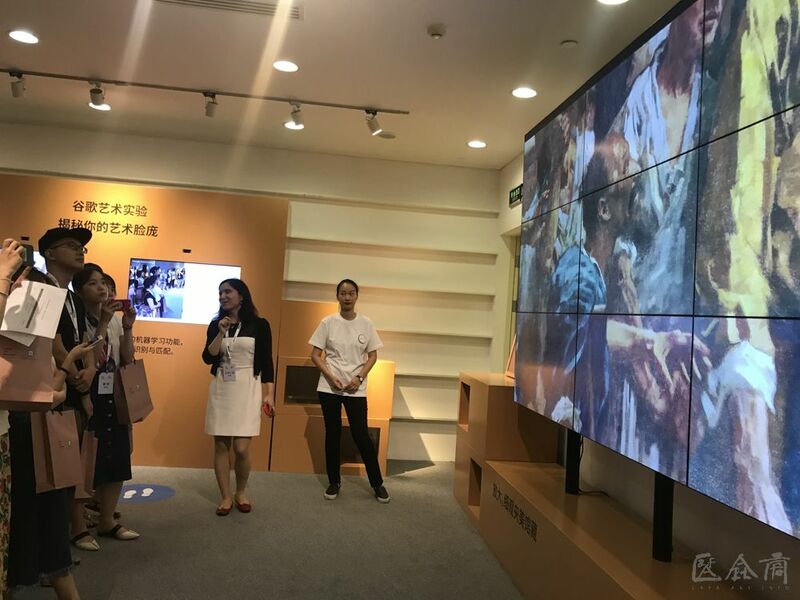 Through Google’s “billion pixels” ultra-high-definition perspective, Xu Beihong and other classics by modern Chinese art pioneers will be presented to the global audience with an unprecedented level of detail. 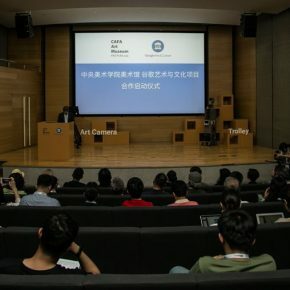 At 18:30 on the day of the launch, Pierre Caessa, Project Manager of Google Arts & Culture, gave an academic lecture entitled “Collision of Art and Technology” at the Red Chair Auditorium of the Central Academy of Fine Arts. 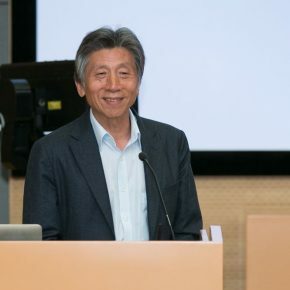 Lecturer Pierre Caessa graduated from Sciences Po Lille, a famous political university in France, and obtained a master’s degree in science from the Paris Institute of Business Studies, majoring in media, art and creation. He worked for Cité de la Musique and Universal Music France. 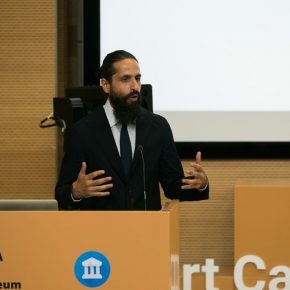 After the establishment of the Google Arts & Culture Lab at the Google Arts and Culture Project in 2013, Mr. Pierre Caessa has been working as its Project Manager. The Lab is located in Paris and is a platform for promoting the exchange of technology and creative groups. 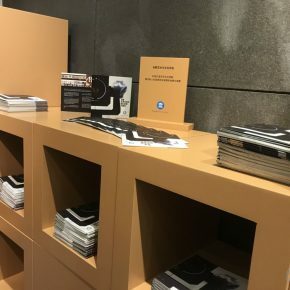 It hopes to promote the community towards an exchange of different ideas and exploration of the innovative ways of experiencing art and culture. At the lecture, Mr. Pierre Caessa introduced the cooperation between Google Arts & Culture with museums around the world. Google’s mission is to “integrate global information so that everyone can access and benefit from it.” Google Arts & Culture makes use of the development of various technology to help protect and spread the cultural heritage that cultural institutions defend, and to create engaging exhibits on the web and in museums. 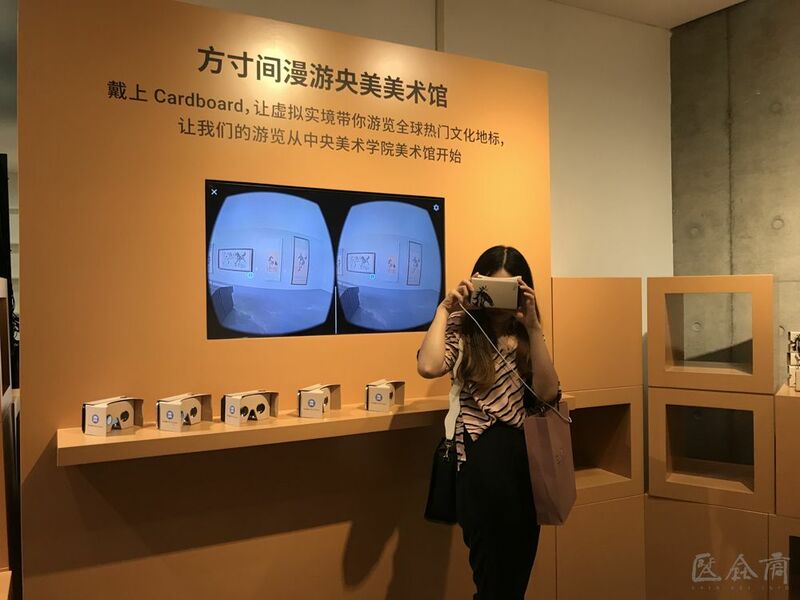 The Paris Art Institute of Google Arts & Culture provides a platform and innovative experiment for the cooperation of engineers and artists, “here we created the Google Cardboard and developed the artistic experience of technological learning so that the audience can interact with art,” said Mr. Pierre Caessa. 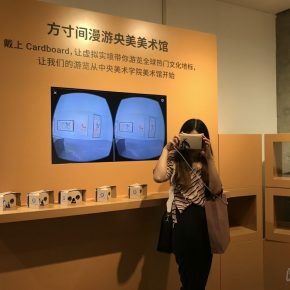 It is worth mentioning that the Pop Up Lab, created by Google Arts & Culture and the CAFA ARt Museum, will feature more than 300 exhibits online and 4 sets of 360°panoramic images. It will be on view from June 20, 2018 to June 26, 2018. 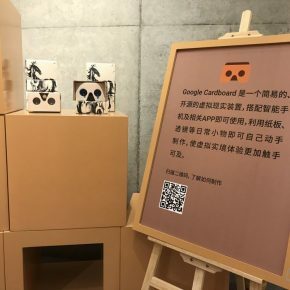 As the cooperation started in Beijing so the content will also be launched on the international platform of Google Arts & Culture, sharing with art lovers from all over the world!